Everything will be okay; we will work through this out and solve the world’s problems. Recruiters are continually sprinting, when we should be pacing ourselves, preparing for the endless marathon. No matter how fast you run, you will never cross the finish line. The good news is, boredom will never be an issue, and you will always have requisitions to fill. So how do you preserve what little sanity you have left and achieve what you need to accomplish while staying organized and managing your day to its full potential? You recruit like a Project Manager! What does this mean? Create flowcharts, timelines, deadlines, establish standards, SLAs, expectations, yes, yes, yes, yes! Yes, but the work you do up front will help you long-term. Think of it as an investment which in the end will pay big dividends. I’ve been involved in various projects throughout the years and worked closely with some great project managers. I was skeptical at first thinking that a project manager was going to put extra steps in the process and bring no value to me. I fought the process through my first project but eventually realized the real value-add of project management. It inspired me to be more project/ process focused, which also prompted me to become more strategically aligned. Before you can do anything, you need to be able to “manage your time.” You may still never get caught up, but at least you’ll be more organized and more likely to achieve your objectives. Manage your emails, don’t let them manage you. Schedule standing meetings with leaders, it reduces the time you are always chasing them to talk about your activities. Schedule blocks of time for interviewing, researching, sourcing, candidate review, and job offers. Establish a template of what you need to do each day and stick with it. Flexibility is always crucial, and sometimes a crisis occurs which prevents you from staying on target. It happens, and you have to plan for it. We know where we spend most of our time but if you are unsure or want a clear picture to track it for a couple of weeks then go back and start shaping where you need to spend your day’s activities. Use an Excel spreadsheet and begin dropping in how much time you spend on each activity. You might surprise yourself and maybe need to readjust so you can be more productive. Building a strategic partnership can mean different things and takes time to achieve. You must build credibility with your leaders. To accomplish this, you and your team must “OWN IT” and establish that you are an expert in what you do. Being a strategic partner requires you to communicate and do it proactively effectively. Not waiting for the leaders to ask for a meeting. Be proactive by scheduling standing meetings. Be prepared to use this time to share what you have done, what you are doing and have it all supported with data and content. MS Project is a great tool, and once you establish a structure of the plan, you’ve mostly created a template that can be used over and over for future projects. In the end, you will be working smarter not harder, you become methodical about your process and have data to support your actions. It’s also about tracking your activities and reporting on them. Giving leaders a bird’s eye view of what you are doing to meet the “deadline.” It also provides talking points regarding successes and barriers. With data, you will have answers, and this data will force you to ask new questions so that you can find the right solution. There’s not one way to get all this data, some of it will come from various types of salary surveys, manual research, developing lists which become pipelines and working closely with peers. Then taking this data and putting it in an analysis tool that can tell your partners a story. We shouldn’t be guessing anymore. With data, we can create and drive better strategies and make better decisions. As recruiters, we know it is all about timing. How can we put a “deadline” on recruitment since we are not dealing with widgets; we are dealing with people and an intimate part of their lives, such as their careers. Here is the thing, we have data, we know where the people are located and we know on how long it’s going to take to get someone hired. If we know all of this, all we need to do is work backward. Why is establishing a deadline important? Without a deadline, the perception is we are just doing the best we can. From day one the bar is set low with no real expectations. It makes us look like processors. Remember we are strategic partners. Establishing deadlines forces us to implement an action plan of how we are going to achieve our objective. It provides something tangible, giving business leaders confidence in your ability to find the right candidate on time. Yes, there’s level of anxiety that comes with establishing deadlines. What happens if you don’t meet the set deadline? You are taking every step in the plan, and it didn’t work, now what? Since you’ve been communicating with your partners every step of the way, there won’t be any surprises. You’ve been managing your time, working as a strategic partner and backing everything up with quantifiable data. Your business leaders may be disappointed you aren’t meeting your objectives, but with supporting data and reasoning, you will demonstrate the actions you took to meet the deadline. In most cases, your leaders will appreciate the efforts and partnership even if you don’t meet the deadline. As we continue to grow in our profession and are recognized as true partners within our organization it’s essential for us to establish methodologies which can forever be replicated (with a tweak here and there) that will produce in the end what we are measured against and that is acquiring the best and brightest talent in our organization! 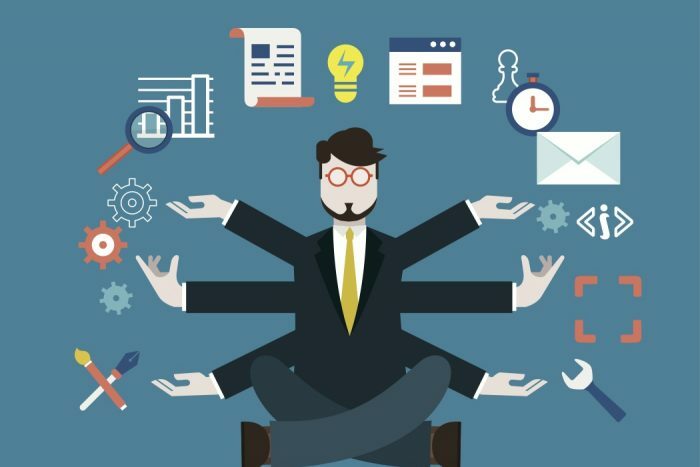 I’ve only scratched the surface in this article, If you would like to learn more about how to recruit like a project manager, please feel free to reach out to me directly and I will gladly share some best practices that I’ve been a part of. Matt Craven is a senior strategic sourcer & program manager at Schneider Electric. With 20 years of experience in talent acquisition in various industries including healthcare, financial services, energy, and technology. He drives results by finding the purple squirrels (not always with technology either) and gets his candidates to accept!